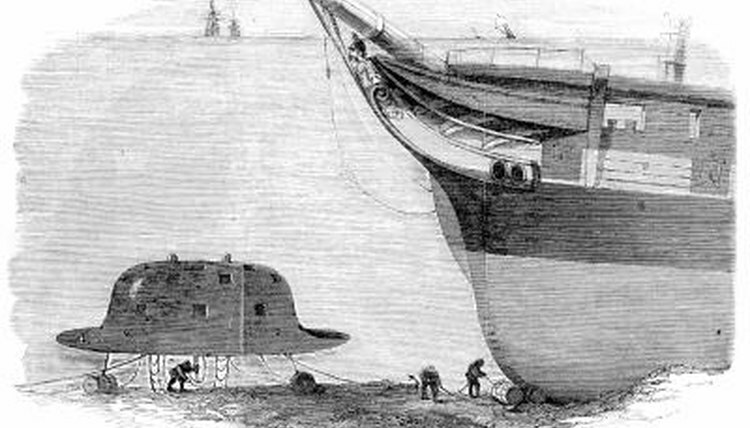 Deep-sea exploration is a thoroughly modern science. Despite a fascination with what lies beneath that stretches to the dawn of man, humans made real forays only in the late 1800s and have only recently possessed the technology to explore the ocean. Divers did not reach the deepest ocean floor, in the Marianas Trench, until 1960. Even now, the vast majority of the ocean remains unexplored. However, with advances in manned submersibles, remote explorations and other gadgets, the mysteries of the sea are beginning to be revealed; among them, the marvelously strange octopuses of genus Grimpoteuthis. Octopuses of the Grimpoteuthis genus are named Dumbo octopuses because they have two paddle-shaped fins at the top of their forms that resemble the flappy ears of Walt Disney's famous elephant. They live up to 5,000 feet beneath the ocean's surface, where few other species dare to go. Most authorities count at least 30 Dumbo species ranging between 8 inches and 5 feet in length. The largest Dumbo octopus on record measured 6 feet and weighed 13 pounds. Depending on the species of octopus, an average life span ranges between about six months and four years. In the oceans, the bigger you are the higher up the food chain you are. Larger species like the giant Pacific octopus tend to find themselves on the luckier end of that range -- so the largest of the Dumbo probably do, also. Due to the difficulties related to studying deep-sea creatures like Dumbo octopuses, little is known about their actual life spans, but for a couple of other reasons they may be longer than most. One reason to presume all species of Dumbo have longer-than-average life spans is that, large or small, Dumbo octopuses do not undergo a larval stage, unlike other octopuses. That's a dangerous period for other octopuses, during which many are consumed by plankton eaters such as whales. In Dumbo's case, once the male delivers the sperm through one of two specialized tentacles, the eggs fertilize inside the female Dumbo, where they will remain throughout several stages of development. Dumbo young hatch when they are already quite large and self-sufficient. Another reason to surmise that the Dumbo octopus lives longer than other species is the relative life spans of other deep-sea creatures. Not only are few predators on the ocean floor to watch out for, but those there cannot pursue their intended prey very far in the darkness. If a Dumbo recognizes a predator such as a shark, he can move surprisingly swiftly -- not unlike an animated Hollywood elephant in flight. Study is ongoing, but it has been demonstrated that slower-moving deep-sea dwellers possess lower metabolic rates, an attribute that contributes to their longevity.